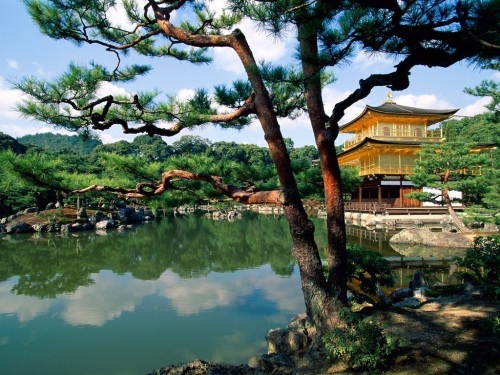 Air Canada is having an unadvertised sale on some flights from Saskatoon to Osaka, Japan (KIX) for $711 CAD roundtrip including taxes. It looks to be sporadic dates in June, August, and September 2015 that they've dropped. Update 1 - Wed May 6 @ 9:10 AM - Taking a look this morning, it looks like prices have increased to $804. 1. Here are some example searches from Kayak. These are date combinations that are showing up at $711. There are quite a few others in other months in the $800s, but not many in the $700s. 2. Click through from Kayak to FlightHub to complete the booking. 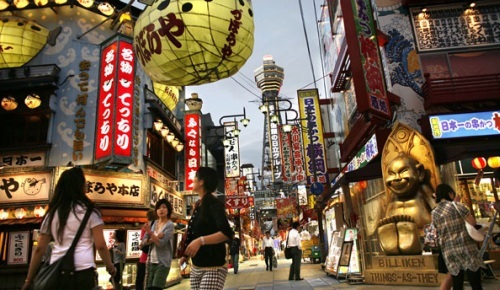 NOTE: The Vancouver - Osaka portion is operated by Air Canada Rouge. The typical warning about Rouge applies as always (no seat back entertainment, smaller seats) but the Rouge flights from Vancouver to Japan are apparently better than they are to other Rouge destinations. "Just a note flying Rouge isn't so bad if flying in the 767. It's very comparable and the seats are a slightly wider than that of the new Air Canada 787s that fly to Tokyo. 767 - 30 pitch / 17.5 width. 787 - 31 pitch / 17.3 width." 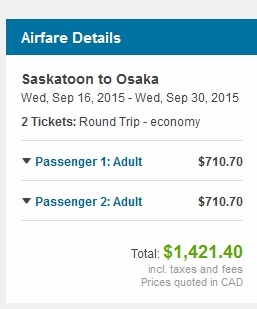 saskatoon, yxe, flight deals, air canada, asia, east asia, japan, air canada rouge, osaka, kix and kyoto.